My 2009 has developed a creaking sound coming from the rear left side somewhere, in the suspension department, or that what it sounds like. Low speed over speed humps or undulating roads, also at low speed (less that 5mph). SC not interested as it's not life threatening...any offers? I have not gone to dealer to discuss...it does not bother me, but it is a creak, almost/sort of metal to metal sound (tingle)....had it from about day 10. So IF you can find out what is really is, let me know please. I thought it could be rear muffler swinging a little?? I must have another look and see if I can see any wear marks.. I also get it if I do a right turn slowly over uneven surfaces, so to me it is either muffler or rear suspension links/ball joint...OR...see pic. 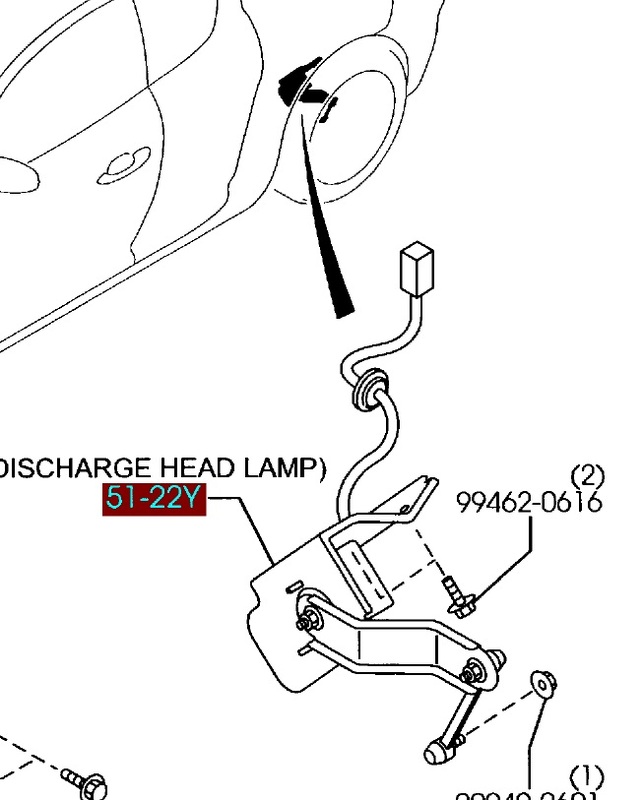 OR it could be the Auto Headlight leveler pivot arms, MMmmm, it is on the left rear side, the more I think about it the more I think this is where it may come from.?? EDIT: It is a S2 Specific Part Number F189-51-22Y , it has not been modified and is $450 USD!! Last edited by ASH8; 10-17-2010 at 06:01 PM. My 2009 has developed a suspension related creak also, but I'm sure it's coming from the right front. I'll look closer when I do the next oil change. I don't know if I found out what the problem was, but squirting a few cans of Waxoil all over the back axle assembly seems to have cured the creaking noise. I've had this noise for months now, dealership and Pettit haven't been able to figure out where it's coming from. Only happens every so often when turning and over bumps. My Passat used to have a rattling sound over bumps that only happened when the weight distribution in the car was just-so. Took me months to replicate it when the car wasn't in motion. Ultimately what reproduced the sound was standing on the door sill and bouncing the car up and down. It turned out to be the swaybar linkage was worn-out. On a 2009, it shouldn't be worn-out yet, but it might be loose. I have a creaking sound when backing into my garage. Have to do it an an angle to fit beside my wife's Odyssey so the wheels go over the garage floor lip one at a time. It's only an inch or so off the driveway but enough to make this 'creeeeeeeeeak' sound. I guess it's normal since other's have similar issues. Yeah, I am pretty sure it is the Headlight Leveler Pivot thing on the Left Side of the Rear..
Getting some creaking lately from the car when going over some bumps. It is more pronounced when the car is cold though so I am not sure if its the cold weather affecting the body or a lubed up area.